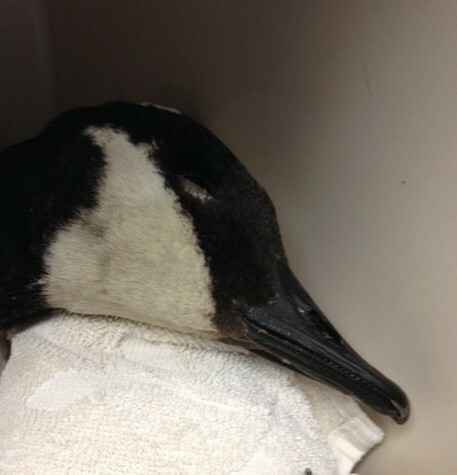 Recently, we received a beautiful Canada goose from a caring couple that found it struggling and near death. The goose had become tangled in fishing line, Cajun Red monofilament to be exact. The fishing line was wrapped around the goose’s neck just below its crop. The crop is the expanded part of the esophagus that holds food and gradually allows digestion. As the goose struggled to free itself from the tangle, the line tightened around its neck. The tightened line was preventing the goose from digesting the food in its full crop and passing through to the stomach. The bird was hungry and while it continued to eat it was starving to death. I have loved fishing since I was a child. Some of my best memories were fishing with my Dad and now with my son. With fishing, like any outdoor sport, there are rules and a sportsman’s etiquette that has been passed down from generation to generation. These rules are all about showing respect for nature and the environment and your fellow sportsman. But some don’t share my belief that these rules are golden. Maybe if he had been cradling that goose’s head when it expelled its last breath the answer would have been different. Remember that 80% of all wildlife injuries are a result of human interaction. Things we do or don’t do.